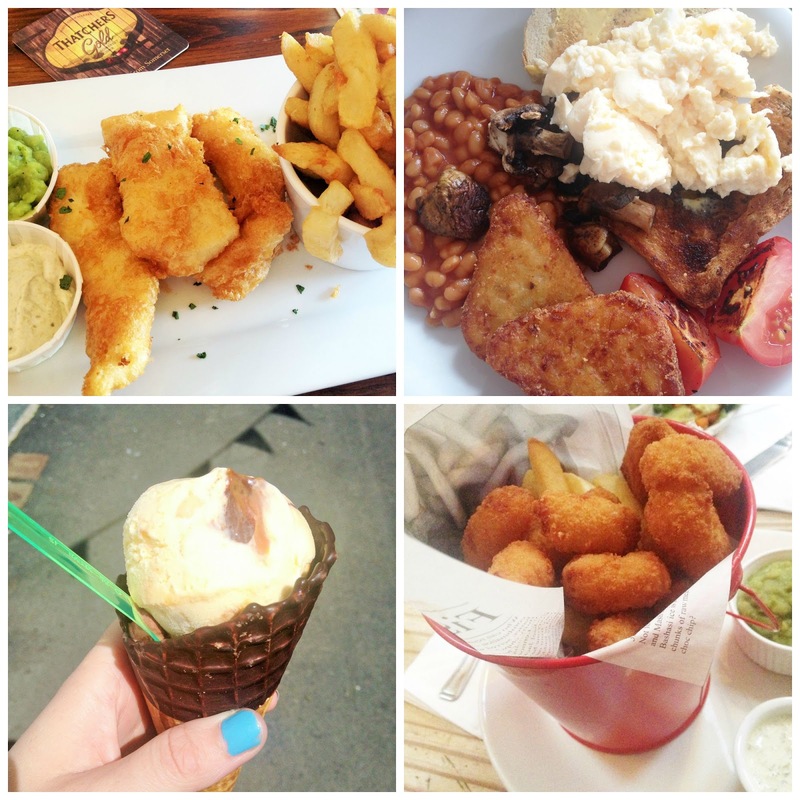 I thought I'd do a slightly different post on my blog today, because let's be honest, who doesn't love food? I got into the habit of snapping away at my food whilst I was away and I thought I'd pop it in a blog post. Although a lot of food I didn't end up photographing as I just wolfed it down! 1. This may have been the most beautiful thing I ate all week, fresh fish and chips. 2. A quick breakfast of scrambled eggs, hash browns and toast on the sea front. 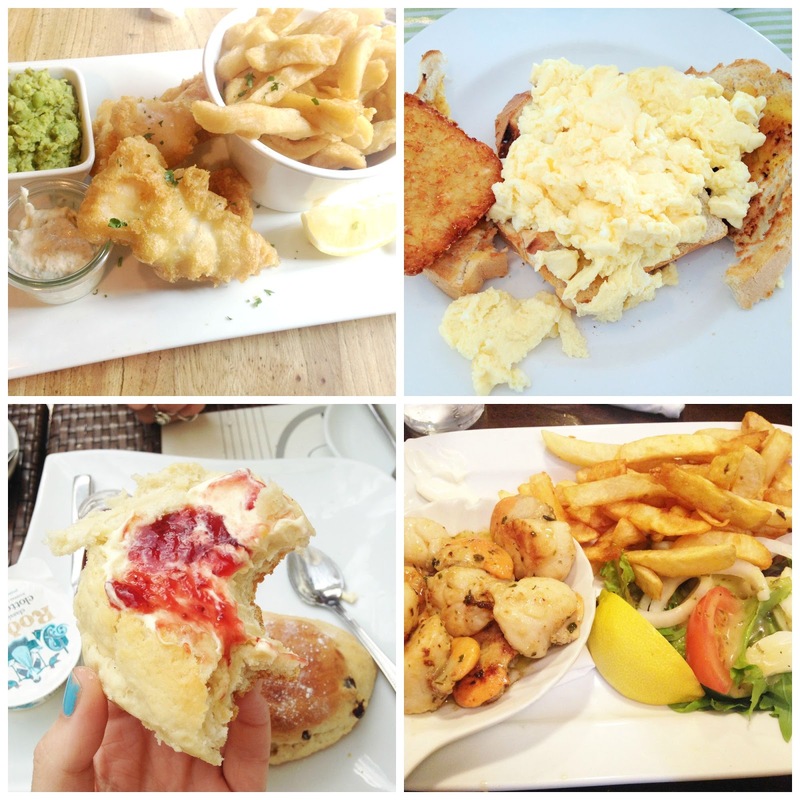 3. Who goes to Cornwall and doesn't have an afternoon tea?! This was one of the best ones I've had, with warm freshly made scones. Yum. 6. A lovely full vegetarian English breakfast I had before we went on a boat ride. 7. This millionaire shortbread ice cream was delicious, I think I had this 2/3 times more times this week. I'm trying to add a little more lifestyle posts into my blog, so let me know if you enjoyed this post!